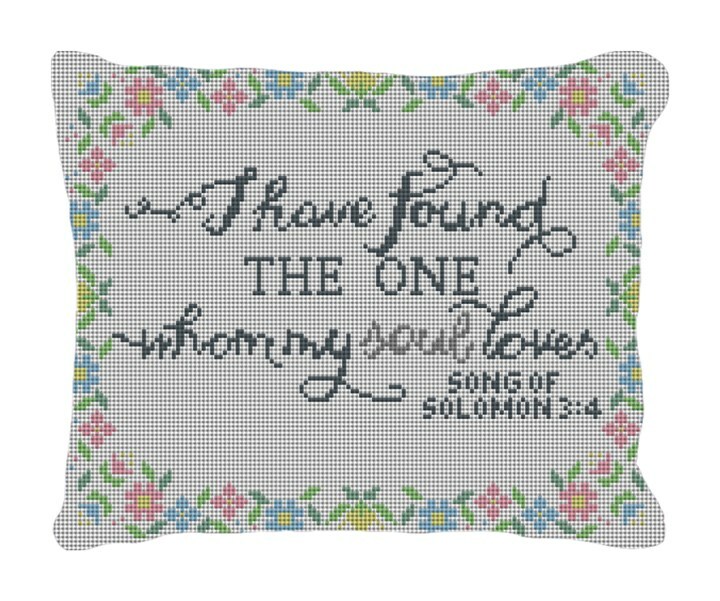 From a series of lyrical poems organized as a dialogue between a woman and her lover; the Song of Solomon has the timeless theme of faithful love. Weddings are full of tradition and symbolism, so stitch this needlepoint pillow canvas and add that special touch to the bride and grooms wedding ceremony. A ring bearer pillow for the ceremony, and a fabulous keepsake pillow for the newly married couples home.